Things continue to progress with respect to implementation of the new Massachusetts Paid Family and Medical Leave Act (PFMLA). Click here for a summary of the key provisions of the law. A new agency, the Massachusetts Department of Family and Medical Leave (DFML) has been formed to implement and administer the PFMLA, and they have created a helpful and user-friendly website. On January 23, 2019, DFML issued draft regulations for the PFMLA, and has scheduled a series of public listening sessions throughout the Commonwealth. HRW attorneys attended the first of these sessions, and shared some comments on how the draft regulations could be improved. The regulations will be published again for public comment and hearing on March 29, 2019, with the final version to be promulgated on July 1, 2019. Employees will not become eligible for benefits until January 1, 2021, but employers will be required to start making contributions as of July 1, 2019. Employers will also be required to comply with the PFMLA’s posting and notice obligations as of July 1, 2019. 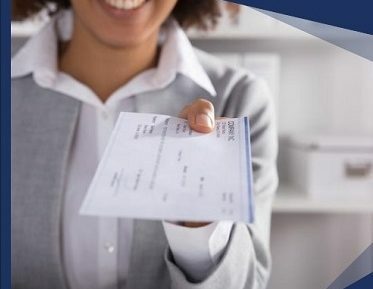 The draft regulations require employers to file quarterly earnings reports and to remit contributions owed through the Department of Revenue’s MassTax Connect system. As explained in the contribution section of the DFML website, the current contribution rate will be 0.63% of each eligible employee or contractor’s wages, up to the base limit for federal Social Security purposes. For employers with fewer than 25 employees, all of that amount can be deducted from the individual’s wages. For employers with 25 or more employees, the contribution is shared, with the employer responsible for at least 60% of the medical portion only, which is currently 82.5% of the total contribution. Employers with 25 or more employees still need not pay any part of the family leave portion. WHAT CAN EMPLOYERS DO TO GET READY? 1. Use the above links to familiarize yourself with the basics of the law. 2. Attend one of the public listening sessions and share your comments and concerns. We all have an opportunity now to influence how the law is interpreted and implemented. 3. Using the contribution section as your guide, do some rough calculations around what this will cost your business, and plan accordingly. 4. Be on the lookout for written notice forms and workplace notices from the DFML to use as of July 1, 2019 when the posting and notice obligations take effect. • Download our client alert here. • If you have questions about the PFMLA, please contact Cathy Reuben, Dave Wilson, Mike Birch, or any other HRW attorney.